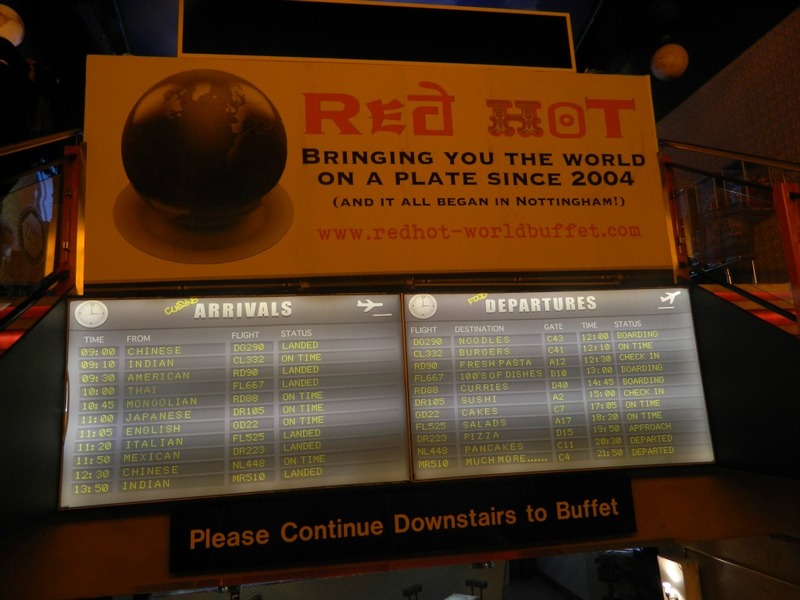 A little while ago I was really pleased to be asked to be part of a team of bloggers partnering with the Red Hot Buffet Restaurant team, of which we have one here in Nottingham. As part of the team I was asked to go along to the local restaurant and review what was on offer. We did this last week and took the children along with us too. The Red Hot Buffet and Bar is an all you can eat buffet restaurant serving Thai, Chinese, Mexican, Indian and Italian food. The restaurant in Nottingham was one of the first in the chain, although now in a different location and can boast the largest restaurant in Nottingham. It is huge, in fact which really surprised me. We arrived on a Monday evening at 5pm for dinner, and entered down the stairway ready to be transported to a food journey around the world. 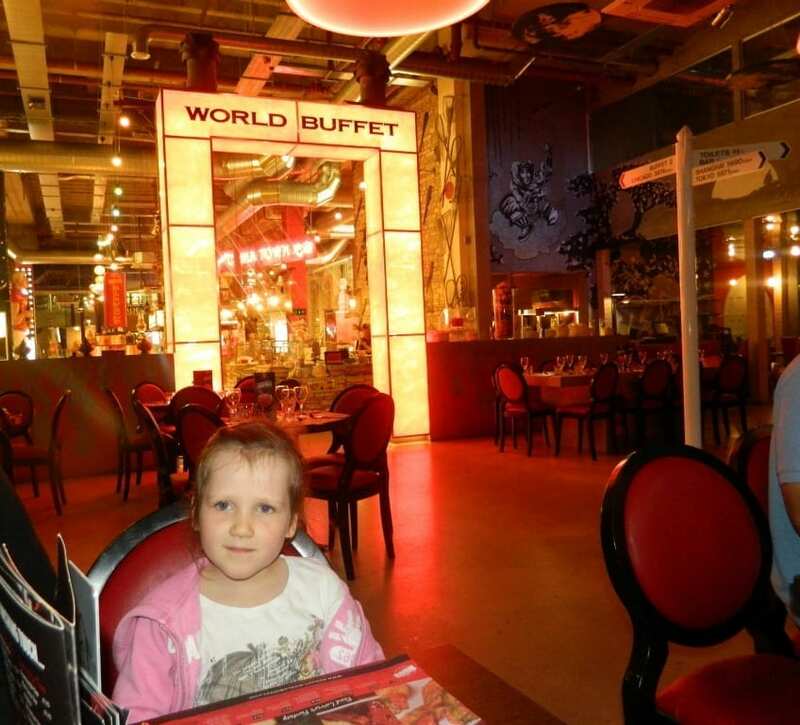 The restaurant was large, bright and very colourful with a huge amount of tables across a vast space. At the time we arrived it was around a quarter full. Staff seemed to be milling around but the restaurant felt empty and vast. We were shown to our table which was next to the bar area and a door that seemed to lead to a kitchen. Unfortunately this door was open and the rubbish bags were stacked there just where we sat. However, trying to ignore this, the system and food buffet were explained and drinks were ordered. Off we went into the buffet area which again is enormous. With all the foods in diffferent areas we took a little tour to find out what was on offer. This is where we were a little confused. Many ‘stations’ were empty with staff mingling around but no food was being cooked. It was hard to understand what many of the areas were for unfortunately. It was clear however, where the Indian and Chinese sections were – food was stored in heated containers with individual serving spoons allocated for each. 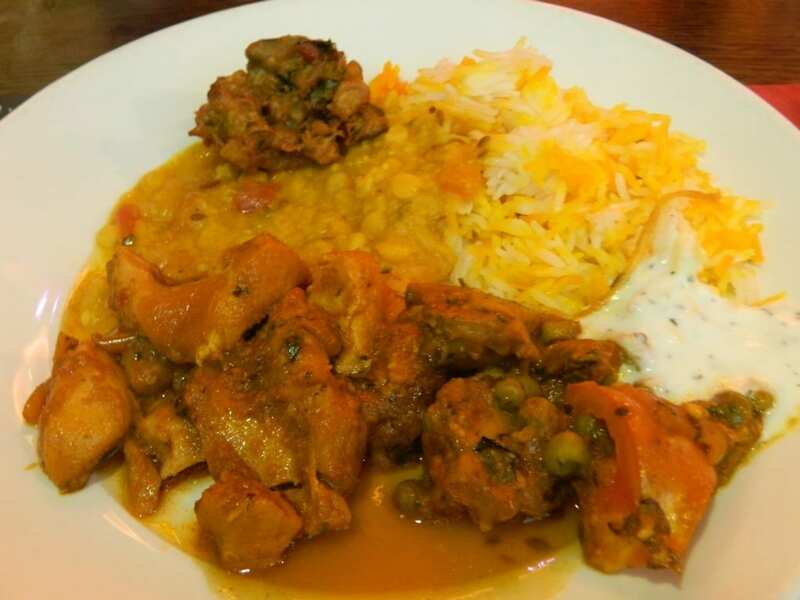 Vegetarian dishes are plentiful and separate from meat dishes. The children ate chips, pizza and egg fried rice (they are children after all) but we adults sampled a range of Indian, Japanese and Chinese. To be honest, it looked better than it tasted. It was hot and fresh but mediocre in flavour and flair, which was a shame. At the sushi bar there were no separate servers for the vegetarian dishes and I saw a lot of cross use which isn’t great. Service was ok but very impersonal and the restaurant did get a lot busier over the next hour and a half but still felt cavernous and barn-like. It wasn’t the best experience for us and that was disappointing because we were so looking forward to it. The adult meal costs £14.99 with children under 10 eating for half price. With drinks the bill was £55. Of course you can eat as much as you like but would you want to with such mediocre food in such odd surroundings. I know many people enjoy Red Hot Buffet and go back time and time again so please do give it a go and make up your own mind. Unfortunately it wasn’t for us, and watching the rubbish bags being carried through the restaurant and buffet area at 6pm I knew I wouldn’t be going back. Disclosure: We were given 2 complimentary adult meals and drinks. We paid for the children’s meals and drinks. Next Post DIY: What’s The Attraction?